Why be Fingerprinted? Fingerprinting helps uncover criminal history not readily discovered through traditional methods, offers extra protection to aid in meeting industry guidelines, and helps prevent fraud. We offer Fingerprinting services on-site, as well as offering Mobile Fingerprinting services through our advanced mobile unit. Many of our technicians are retired law enforcement officers expertly trained in fingerprint techniques and classifiction. Whether you need one person fingerprinted or a comprehensive fingerprinting program for all current and future employees at various locations our services are extremely practical, benefitial and business-friendly. We stock all FINRA, NFA, and FBI Form FD-258 cards used by FBI, US Immigration and Naturalization Services and most police agencies for non-criminal fingerprinting. Our clients rely on us with confidence knowing that our experienced fingerprinting specialists ensure superior acceptance rates and greatly reduce and eliminate the chance of processing rejections. WHAT IS AN ORI? Originating Agency Identifier identifies the agency that has originated the request for a background check on you. For a civil servant, it's the agency that has told you you must undergo a fingerprint based background check. The code is assigned by the FBI or state's main law enforcement agency based on state or federal legislation that allows applicant's for that agency conductng the background check where to send the results to. No agency conducting fingerprint operations may share the results of the background check with any other person or entity. 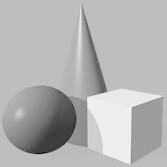 An ORI wll generally be a 9-digit alpha-numeric code consisting of 2-digits identifying the state and a 6-7 numeral perhaps ending in a letter. Note: Armored Car Carriers, Document Destruction Contractor, Security or Fire Alarm Installer, Bail Enforcement Agent and Coin Processor: Fingerprinting receipts are valid only for five month's from date of fingerprinting. Please submit your original application within five months. Failure to submit your application within this time period will require you to complete the process again. Westchester and Connecticut JudiciaryServices, Ltd., provides Mobile Fingerprint Services in Westchester, NY & Connecticut for both Ink-Rolled Fingerprint Cards and Live-Scan Fingerprinting. 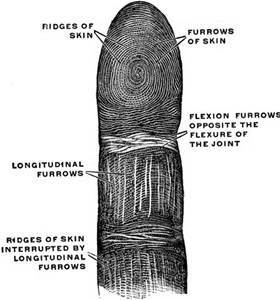 The Ink Rolled Fingerprinting method has traditionally been the most common type of fingerprinting. This is all ten fingers. 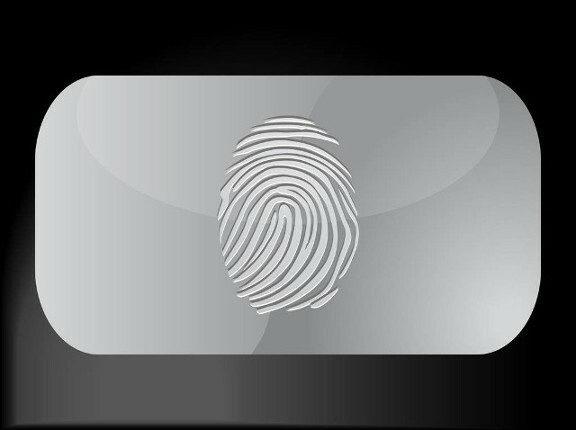 The making of a 10-print fingerprint card is the standard for most fingerprinting situations. This traditional type of fingerprinting is used for many of our customers including FINRA brokerage firms, Security Firms, Government Employees, and in numerous other fields. We provide our service to both individuals and businesses. Fingerprint cards are typically used when an applicant is applying for employment, license, background checks, or a permit of some kind. Fingerprint cards are used for Federal background checks or in certain instances when a Life Scan fingerprint will not go through. In this case a fingerprint card will be used instead. Fingerprint cards results generally process much faster than Live Scan. Live Scan is State-of-the-Art fingerprinting. It is the most advanced F.B.I. approved, fingerprinting technology. Live Scan is often used in the fields of: banking, insurance, mortgage, pharmaceutical, throughout the medical field, Board of Education, Gaming License applications, Public Transportation and most Brokerage Firms, among others. (FINRA, SEC, NFA, ABA, etc.) Live Scan may be electronically delivered, whereas ink rolled cards cannot. We provide on or off-site fingerprinting services to organizations required to comply with employee screening statutes as required by law, or for other reasons. With WJS, you have two options: You may feel comfortable in our comfortable professional setting with a skilled technician, or feel even more comfortable with us visiting you. With our mobile unit, by travelling to your location at your convenience, the time required for fingerprinting per person is often cut in half, often reducing time from hours to minutes. Our fingerprinting service complies wth all statutes that mandate fingerprinting. If you can provide the information to us in advance, we are also able to to print the complete demographic location on each card. We are fast and friendly, clean and professional. We eliminate the intimidating environment , potential long waits often associated with a visit to your local police station who will not make appointments for non-criminal fingerprinting. NOTE: ON IMMIGRATION MATTERS: Did you know? In Westchester County, Police will ONLY fingerprint town-residents and will also not process Immigration fingerprinting. They do not provide FD-258 fingerprint cards for non-criminal background checks. KIDS: parents are advised to fingerprint all children for safety and security reasons. See below. Did you know? We can also print wiggly children while they are sleeping! NEW ! TSA Pre-Check: Lets eligible, low-risk travelers enjoy an expidited and more efficient security screening. The program is available at participating U.S. airport locations and we come to you! It is now available for most international itineraries. Ease through security without removing your shoes or belt and leave your laptop in your bag.! Speed through the airport screening process in a jiffy. If you are a U.S. citizen enrolled in CBP Trusted Traveler Program including Global Entry, Sentri and Nexus, or if you are a Canadian citizen enrolled in Nexus you may now enjoy the benefits. Inquire today for an appointment. CHILD PRINT I.D. CARDS® $4.99 Plus Shipping. 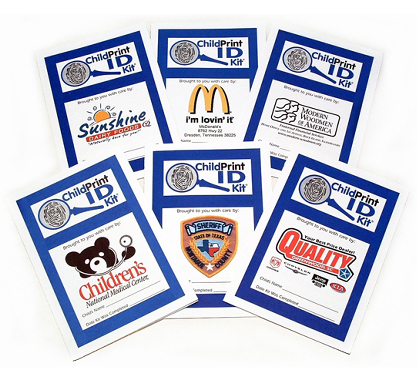 The ChildPrint ID Kit® assists parents in easily creating a confidential and extremely comprehensive record of their child’s personal and medical information, to keep at home for use in an emergency. When a child is missing, first few hours are crucial to recovery. During this very emotional time, parents often search for current photos and cannot always remember their child’s most basic characteristics. ChildPrint® enables parents to immediately give police a complete and accurate description, saving precious time, and hastening the search. In addition, ChildPrint® includes two pages of important safety tips, because education is essential to helping kids avoid dangerous situations. Available in Spanish and English versions. Child Print I.D. Kit Features and Prices. Prices are $4.99 Single Kit and $19.99 5-Pack plus shipping. Have a Question Mom? Call us anytime. 917-597-0994. The FBI estimates that at least 2300 children are reported missing every day. Parents should begin educating their children about safety issues at a young age, starting around 3-4 years old. Review the tips with your child, and afterward, please take our quiz to reinforce safety issues. Approach the subject of safety in a non-threatening way. It is important that you don't make your child fearful of dangerous situations or people, but cautious and able to recognize when something is not right. Encourage your child to trust his or her intuition, and to be able to talk to you when something is bothering them. They should know not to keep secrets from you. Open communication is very important. Really LISTEN to your child. Let your child know that their body belongs to them. No one has the right to touch them inappropriately. If someone is touching them or making them feel uncomfortable in any way, they should let you know immediately, even if it is a family member. Inform your child of the rules pertaining to strangers. Namely, that a stranger looks just like any other person, not like a monster or creature. A stranger is someone that your child does not know, nor does his or her friends and family. Strangers will use different ways to lure a child. nor do they threaten them. If they do encounter any of the above situations, they should immediately scream, "NO," and run as quickly as they can in the opposite direction and try to find a trusted adult. They should never approach an unknown car or get into a car with an adult that they do not know. If someone tries to grab them, they should scream, "THIS IS NOT MY PARENT!" to attract attention. Share an easily remembered secret CODE WORD. Tell your child that if anyone approaches them and says they are a family friend who needs to take them somewhere, (sometimes they say that a parent is hurt and in the hospital, or there's a family emergency) your child must ask for the code word. If the person really is a friend, they will know it. If they don't know it then your child should run away as quickly as possible. Never label your child's clothing, backpack, or other personal items with their name. An abductor could use this information to try to gain trust. Give instructions on what to do if your child gets separated from you in a mall, supermarket, or other public place. Tell them to go to a checkout counter, information desk, or to approach a security officer or mother with children, and let them know that they are lost and looking for their parent(s). Make sure your child knows his or her full name, address, phone number, and the place where you work or can be contacted, as well as how to dial 911, make collect calls, and dial the operator on a pay phone. Know where your child is at all times, and keep a list of their friends, addresses, and phone numbers. Keep an up-to-date record of your child's personal and medical information on-hand in case of emergency, such as a ChildPrint ID Kit or ChildPrint ID Card. Make sure your child is fingerprinted and that you have a recent photo available at all times. Try not to panic if your child is missing. First, check everywhere in the house, then check with the neighbors and your child's friends. If you still cannot locate them, immediately call the police. DO NOT WAIT. CALL 911 AND CONTACT 1-800-THE -LOST. WHAT TO DO: Provide them with a description of what your child is wearing, along with your ChildPrint ID Kit®. Let them know when you last saw them. Request that their name be entered into the National Crime Information Center Missing Person File (NCIC), which enables any law enforcement agency in the U.S. to identify them. Call the National Center for Missing and Exploited Children at 1-800-THE-LOST to have them entered into their database. Post signs around your neighborhood and town with their photo and vital information. Be persistent in your search efforts and keep hope alive that they will be found and returned home safely.